Opening a coffee shop can be extremely rewarding. However, entering a competitive market can be overwhelming. To help you navigate this growing market, we’ve compiled a list of important steps to open a successful coffee shop. 1. Decide on what type of coffee shop you want. When it comes to opening your own coffee shop, there are three basic options. Purchase an existing Coffee Shop: This option allows you access to a turnkey business. Almost everything is already sorted, and you wouldn’t need to do many alterations, especially if the business was thriving before the sale. 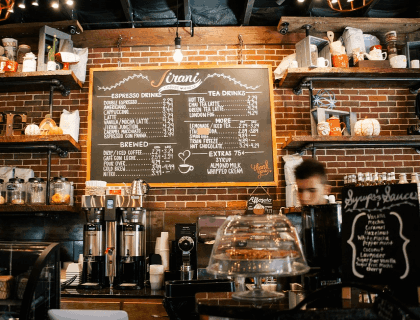 Purchase a Coffee Shop Franchise: With this option, most of your business decisions will be made for you, but you'll have a turnkey business. 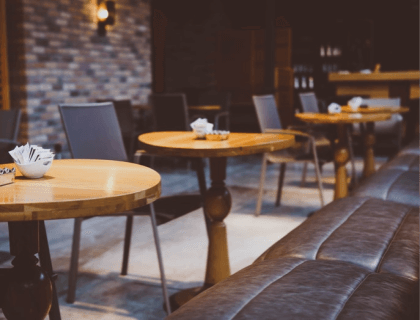 Start your coffee shop from scratch: This option requires the most effort and work, it also provides the most flexibility and the best potential to maximize profits. Deciding on the perfect coffee shop business option may also affect your lifestyle, which is why it's important to consider all your options. Most coffee entrepreneurs will have questions about the level of income they could expect. Your income will be determined by what type of coffee business you own, your sales, pricing point, expenses, and other major factors. It costs between $20,000 - $250,000 to start your own coffee shop, depending on your location, the equipment you choose, and how much you spend on furnishings. 2. Research the coffee market. The process of researching trends, competitors, and equipment is critical. There are many consultancies and professionals that offer advice to help you through this process. However, business consultants cost between $50.00 - $300.00 per hour. To get started doing market research on your own build relationships with current or previous coffee shop owners. Learn from their experiences, mistakes, and training. Visit various coffee shops in and around your city. Learn where they differ. In the end, you’ll want to search for a gap in the market. How can I ensure my coffee shop stands out from the rest? Start by establishing your business concept. This process of intense research can also help you establish your design, brand image, target market, and find a desirable location, all of which can be the difference between success and failure. Learn everything you can about coffee. Coffee can be complex to make and sell. With over 1,000 flavonoids that make up the taste of coffee, there are many ways for it to go wrong. But these variables also mean that there are many delicious roasting profiles and blends that are waiting to be discovered by your customer's taste buds. The more you know about coffee, the better. You’ll need to study the art of coffee through books, events, seminars, and coffee tastings. This is also a great way to meet fellow coffee lovers and professionals in the coffee industry. March 23 - 24, 2019. April 11 - 14, 2019. June 11 - 13, 2019. September 23 - 24, 2019. October 11 - 13, 2019. Best Books to Read Before Starting a Coffee Shop. Setting the Table by Danny Meyer. The Coffee Dictionary by Maxwell Colonna-Dashwood. The Coffee Brewing Handbook by SCAA. What I Know About Running Coffee Shops by Colin Harmon. When opening your own business, you will be faced with two options: roast your own coffee beans or find a coffee roaster who will deliver. Learning to roast your own coffee beans might seem daunting, especially since it will require tons of training and development. But it is an investment you'll want to consider. Roasting will save you money in the long run, but getting started will require additional capital. This will include extra money for roasting equipment, installation, purchasing beans, and training staff. If you wish to have your beans delivered, then consider local or corporate roasters. Tip: Visit local coffee shops and try their various blends. If you find a few that you like, buy a bag and take it to your local roaster. Ask the professionals what their wholesale cost is per pound and what type of support they would provide if you sold and advertised their brand. Depending on the state and city you live in, there are many regulations to consider. Do you have the proper permit? What are the health regulations for a kitchen? What licensing will you need? Investigate all the legal requirements you’ll be subject to. Know tax requirements and payroll laws. A business plan is essential for entrepreneurs who are trying to raise money or obtain funding for their business. A well-researched and detailed business plan shows professionalism and provides investors with solid financial benchmarks. Start by creating a business plan overview. This will help you get a clear picture of what you want your coffee shop to offer. This business plan does not need to be the traditional, lengthy version you'll use when searching for funding. You can create an overview that summarizes the ideas you have. An executive summary. This should include a summary of your business, location, size, company ownership, objectives, and strategies. A market analysis. You need to have a good understanding of the coffee market. This should list the trends, target market, and data you researched. A competitive analysis. This should include information about your current and future local competitors. List the strengths and weaknesses of your competitors, and how you will make a difference. A product line. This should include a list of the products you plan on offering. Add your menu and the potential cost of each item, as well as the vendors you plan on using. A management strategy. This should include a layout of your management team, responsibilities, and employee costs. Financial Considerations. Define your costs and financial strategies. It's important that you list how you would fund your business in detail. 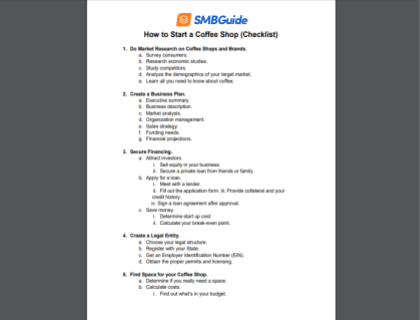 Continue to work on your coffee shop business plan. This will ensure you're ready to give your plan to the owner or property manager of your future coffee shop location. Update your overview regularly and ensure that all your ideas are evaluated over time. What type of coffee shop do you want? Do you want to open a coffee stand or a storefront? When developing your business plan, it's important to have your business concept laid out. This step allows you to turn your business dreams into a concept on paper - which may help investors understand what you're trying to build. Tip: While you complete your research and visit various coffee shops, jot down interesting offers and designs you've noticed. These will help you find trends. As a coffee business owner, you need to be aware of the value you are able to add to your community. You will need to find your 'edge' or the 'thing' that makes your coffee shop special. Start by developing an understanding of your competitive position and what your Unique Sales Proposition will be. Your USP is something that you should evaluate throughout this process. 4. Find your ideal location. The importance of a good location is undeniable. Your coffee shop’s location and the terms of your lease will play a vital role in your business survival. A shopping mall can give you access to thousands of shoppers, but there may also be a lot of competition, rent may be higher, and you may not have complete control over your business hours. These restrictions are important factors to consider. A storefront location is harder to find but can offer fewer restrictions. Depending on your location, storefronts offer visibility, negotiable rent, and you can set your own business hours. A drive-thru coffee shop serves a dual purpose when joined with a regular coffee shop. They offer quick service and convenience. Customers on their way to work prefer a quick stop and wouldn’t want to stand in long lines. These locations should have high-visibility and good drive-thru space. When searching for a location, parking and traffic play a vital role in finding the perfect spot. Unless you locate in a mall or other high-pedestrian traffic site, your location needs to be easily accessible and provide adequate parking. Your ideal location should be convenient, highly visible, and on a busy street with plenty of parking. This way customers can easily drop in on their way from work, gym, or school. 5. Decide on a coffee shop menu. A coffee shop cannot survive on coffee sales alone. This is why developing a menu will play a central part in your business planning. Without it, you won't identify your equipment needs, estimated budget, space requirements, or location. Spend a good amount of time researching options that will boost sales. To help with this process, write down a basic list of all the items you wish to market. It’s important that you have enough capital to launch your business. To do this, you’ll need to calculate your start-up cost and your break even point. How much does a Coffee Shop owner make? Coffee shop owners earn between $20,000 to $60,000 per year, depending on the type of coffee business, sales and costs. Starting a coffee shop business from scratch is a sizable investment. The amount of funding you will need depends on your coffee shop's size, food services, location, equipment, and other variables. It is vital to determine your start-up costs before making any big moves. But what is the best way to determine start-up costs for a coffee business? This will all depend on what type of business you’re trying to build. Start by planning your menu, creating your concept, researching equipment cost, and scouting locations. Once you have these elements, you can develop a realistic budget. Calculate your break even point. Your break-even point is the point at which your total cost and total revenue are equal. Knowing your break-even point is vital, especially for start-up businesses who will need to identify their sales goals. 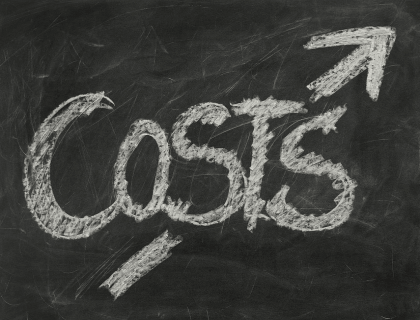 Calculating your break-even point will determine what sales volume is necessary to cover costs. Read our detailed guide on the break even point. Tip: Leave room for surprises. Some things may cost less than expected, others more. Plan on spending about 20% more than expected to give yourself some room to breathe in cases of emergency. Your Cost Per Item Sold is an important metric you'll need to understand. Essentially, it will help you to determine prices, what kind of discounts you can offer, and what it costs to give away a free cup of coffee. Your costs will be based on the different types of products served and on the quantity that goes into each item. A simple drink of coffee will require a range of ingredients. Let's assume milk costs .234 cents per ounce, and a coffee drink requires 9 ounces of milk, your milk cost will be .211 cents. .234 cents x 9 ounces = .211 cents. If you're interested in adding espresso, you will need one double shot. One pound of beans is able to produce 32 double shots. If it costs $7.50 for a pound of beans, the coffee cost will be .234 cents. To add 1.25 ounces of syrup, which costs $4.50 for a 25.4-ounce bottle, it will cost .221 cents. It's important to note that cups, lids, and sleeves add additional cost. If they all add up to .20 cents, the total cost of the coffee drink would be .866 cents. If you plan on baking and selling your own baked goods, there are many variable costs to consider as well. 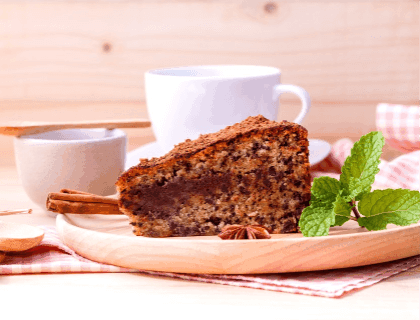 To make a simple cake, you will need flour, sugar, eggs, milk, etc. These raw materials can cost anywhere between $5.00 - $500.00, depending on how many cakes you plan on producing on a daily or weekly basis. If we assume a cake recipe needs 16 ounces of milk, divide a gallon's 128 ounces by 16 to calculate 8 batches. If a gallon of milk costs $5.00, divide by 8 to calculate .62 cents per batch for that one ingredient. You will need to repeat this calculation for each ingredient to calculate the total cost of ingredients for a recipe. Divide total cost by the number of servings the recipe was made for. If your recipe totaled $4.00 in ingredients and made 12 servings, you will need to divide $4.00 by 12 to calculate a per-serving cost of .33 cents. Please note, you will need to include other costs, such as equipment, supplies, labor and operating cost. Funding can be one of the hardest steps to complete. During this process, you will need to examine all your funding options and analyze what strategy will suit your financial goals. Ask family and friends. Start by discussing your business plan with friends and family. Plan and present a well-researched business plan and ask them to invest in your business. Apply for a loan. 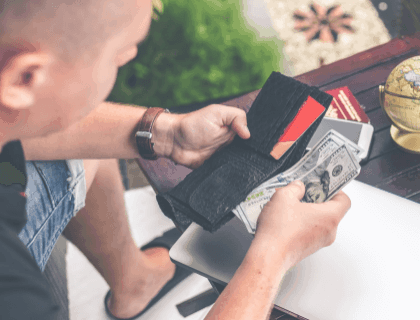 If you're unable to obtain funding through family, or if you need more cash than your family can provide, start looking into local loan options. In many cases, cities will offer business assistance programs to offset costs. Check into crowdfunding. With this option, you can raise money for your coffee business by appealing to the online community and asking for financial assistance. Crowdfunding is an excellent way to fund a project without giving up equity or accumulating debt. Funds are usually used in exchange for gifts, future products, or other small rewards. However, crowdfunding does require continuous marketing and patience. Start small. Starting a major coffee shop from scratch might not be an option for everyone. Consider starting small by opening a coffee stand, truck, or cart. This option is much more affordable. It can cost between $15,000 and $100,000 to start a coffee stand. Consider an SBA-backed loan, local bank or credit union. This process can be very personal as lenders will need to review your credit score. Very small loans (up to $50,000) have lower credit score requirements with a minimum of around 620-640+. This process will also depend on business factors including monthly revenue, cash flow, and time in business. In addition, read through our small business startup loan article for more information. 8. Consider local laws and regulations. Depending on the city or state you live in, your coffee business will be subject to local regulations. Some states don’t require a general business license. However, you need to verify if your location requires specific licenses. To find out where to obtain your business license, Google your city’s name and business license. In addition, check the United States Small Business Administration (SBA)’s website for more details. In some states, you can simply follow the application procedures laid out on your state government’s website or go to City Hall and request the proper documents. A food service license is issued by your local health department. This specific license will require a health department official to visit your location. The fees for a food service license are often based on the classification and size of your coffee shop, as well as where it’s located. It may also be based on the number of employees you have. But often the costs range from $100 to $1,000. To apply for a food service license, you must fill in the online application or collect an application at your local health department. Once you've filled in the form, submit it and continue the process, which includes a visit from a health department official. To ensure your kitchen meets health department standards, view the different states' rules and regulations. If you’re planning on preparing your food in-house, you’ll likely need a food handlers permit to operate. Also referred to as a food handlers certificate, this document will guarantee that your coffee shop meets food sanitation, storage, protection, and preparation regulations. Your employees will need to complete a state-approved food handler course and purchase a food handler’s permit. Depending on the state you live in, the cost of a food handlers permit can cost $100 to $500. This permit expires over a period of 3 – 5 years. Navigating the legal side of starting a business can be complex and stressful. Obtaining the proper licensing and permits is a must, which is why this process might need a legal professional. 9. Choose your business structure. Finding the best structure for you will require your full attention because it’s important to ensure you are protected legally. 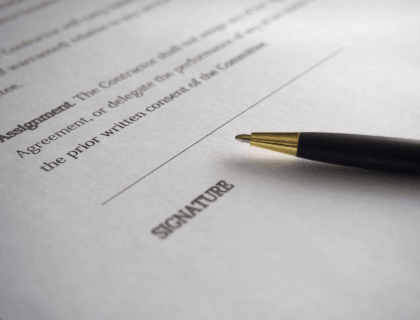 In the United States, most coffee shop owners will establish their business as an LLC. However, there are a few that are set up as partnerships and corporations. Determine what will suit you best and think about the type of business you’re trying to build. Obtaining insurance for your coffee business should be considered when planning finances. 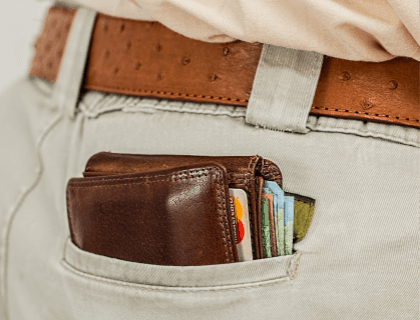 This step is often overlooked by coffee shop business owners even though it may be required to please banks, property managers, and investors. Ensure your business, employees, and assets are secure by investing in solid insurance. 1. General Liability Insurance: This is a must have for any business, especially coffee businesses that have frequent interactions with customers. It will protect you if your baristas, coffee, or any of your products cause harm to people. 2. Business Property: This will help protect your physical business property. Your insurance should include any outdoor or exterior property including signage, railings, umbrellas, decks, and lighting. 3. Business Income Coverage: This may depend on your location and coffee business. However, it will help you keep your ability to pay for necessary fixed and variable expenses. 4. Equipment Coverage: Coffee equipment is expensive. Having your equipment covered is critical for your business. 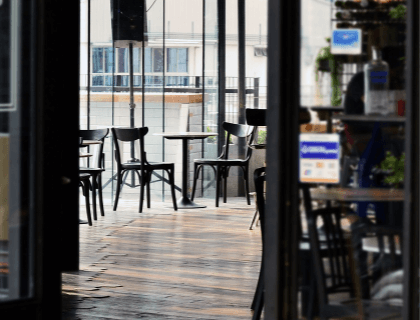 What type of insurance does a coffee shop need? Business Property (Interior and Exterior Coverage). For more detailed information on the best insurance for your small business, read through our small business insurance article. 11. Get an Employer Identification Number (EIN). Before you start hiring staff, you will need an employer identification number (EIN). Also referred to as the Federal Employer Identification Number (FEIN), this nine-digit number will act as a tax ID number. To receive your EIN quickly, applying online is the best option. Hiring employees will eventually be a crucial part of your business. In the end, your main goal will be to hire competent and professional employees that will help grow your business. Research local laws and wages. In the United States, the federal minimum wage is $7.25 an hour. However, this can vary by state. Most baristas and coffee attendants get paid the minimum wage of their state and can expect an average income of $19,000 - $30,000 per year. Depending on your state, there may be local minimum wage laws to consider. Check with the Department of Labor for minimum wage requirements. Form a payroll budget. This will help you determine the sum total of compensation for your employees. This step may also help you determine how many employees you can afford to hire. Research wages for all positions. Depending on the type of coffee business you are building, you will need a range of employees to assist you. These may include a barista, waiter/waitress, busboy, baker, etc. Be aware of the wages each position expects. Some positions might require additional costs because of expertise and training. Place ads in local newspapers and job listing websites. Starting a business means you’ll be a source for local employment. Advertising in your city will be beneficial to your business and the community. Hold tryouts for positions that require skills. While some positions might not require a wide set of skills, others will. Baristas and bakers are important positions to fill when starting a coffee shop. These employees need to be skilled and trained in their field. Before you hire employees, consider hosting tryouts to review their work. In addition, there is free recruitment software that will help you recruit the best staff for you. 13. Decide on an accounting system. If you want your business to survive, establish a solid accounting system before your coffee shop opens. If you want to ensure your accounting system is accurate, there are two options to consider, hiring a professional or obtaining accounting software. While many believe hiring a professional is costly, it's wise to research the benefits of this option. Aside from giving you more time to focus on your business, having a numbers expert works in your favor. An accountant will allow for fewer mistakes and less time worrying if your taxes were in order. This is the more affordable option. 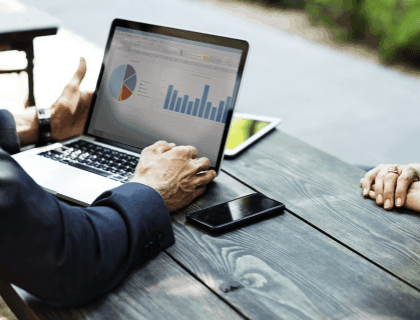 It will require you to spend time operating an accounting system yourself, but once you find the best software for your business, you can easily do your own taxes and payroll. There is a range of free accounting software. 14. Equip your coffee shop. Opening a coffee shop means you'll require specific tools. You need to equip your coffee shop with the proper supplies, utensils, and equipment. This step requires thorough research and planning. Your coffee shop should always be equipped with the proper supplies including paper cups, dispensers, decanters, straws, and napkins. Many of these supplies are indispensable, and you will need them as much as you need a coffee grinder, or an espresso machine. The costs for supplies depends heavily on the amount of supplies you'll need to order every month. Costs for basic supplies start from $2.00 each. If you plan on making snacks and appetizers in-house, you'll need the proper kitchen utensils. This includes cutlery, coffee cups, thermometer, and milk frother. Basic kitchen utensils can cost between $3,000.00 to $5,000.00. Ensuring that you have quality equipment that works when you need it to will be crucial. Make a list of the equipment you will need and research the different brands and costs. Automatic Drip Coffee Makers: You may need a powerful coffee maker to keep up with demand. It should be durable, and able to produce a large amount of coffee per day. A High-Quality Espresso Machine: This option can be quite costly due to material and manufacturing cost. A Coffee Grinder: This machine is vital for a coffee shop business. Most of the time, grinders help with the aroma and taste of your coffee. Industrial Blenders: Planning on offering a variety of drinks? Then you'll need at least one blender. The craze for frozen coffee drinks is growing and customers will appreciate your business versatility. French Press: This is a popular alternative to drip coffee machines. Inventory management software is used to prevent overstock and shortages. This allows you to monitor and track goods, materials, sales, orders, deliveries, and production-related documents. We recommend Backstore and Odoo Inventory for coffee shops. This is a versatile system that allows you to take payment in-store, online, or at events. With a POS System, you can accept payment from many types of devices. We recommend Lightspeed and Square for coffee shops. Accounting software can help you better manage your invoices, payroll, expense reports, financial reports, and more. For coffee shops, we recommend FreshBooks and Zoho Books. Your coffee shop will require a range of special equipment and machinery. It's important that you maintain your equipment. With this software, you can set maintenance reminders and optimize repair times. We recommend UpKeep and Manager Plus for your coffee shop. This is a valuable employee management software that provides a range of key features including recruitment tools, administration tools, and workforce management features. For coffee shops, we recommend Gusto and Bamboo HR. Developing a solid and informed marketing plan will help you grow your customer base and cultivate lasting relationships. Focus on visual representation. Invest in quality designs, art, signage, and photography. When you advertise your business on social media, on your website, or in newspapers, make sure you use captivating images. Sell your business by highlighting its beauty and atmosphere. Participate in your community. Get more involved with any outdoor community activities, festivals, or block parties. If an event is set to take place, offer your services and products. This could lead to more interactions with local community members who weren’t initially aware of your business. Create a buzz around your business. Approaching local media outlets could be beneficial. They will reach a broad audience. 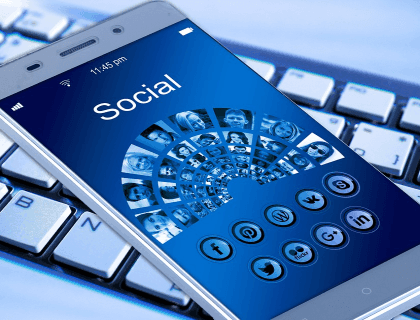 To reach a more specific audience, try approaching bloggers and social media influencers. Invite them to review or try out your latest winter snack menu or a special brand of coffee. Offer memorabilia. Create a striking logo that perfectly captures your business essence. Sell your logo on t-shirts, mugs, or koozies. This touch will ultimately help build your brand. Once word spreads about your business, potential customers will want to know more. The first place they'll look is the internet. This is why it's very important to set up a well-designed website. Having your own coffee shop website is important when you're trying to build a professional brand and loyal customer base. Search Engine Optimization is an important tool. Customers are online searching for the nearest coffee shops in their area or city. To appear in local search results, you'll want to build a simple website and invest in proper SEO strategies. At a minimum, build a simple website with a website builder, and be sure to register your business with Google My Business so that you’ll show up in maps and search results about your business. Take images of your baked goods and delicious blends. Offer free or discount coffee on opening day. Promote your coffee shop by dropping off free coffee and flyers at local businesses. Give away coffee and snack samples at local events. Create a mail campaign that sends coffee coupons to local residents. Word of mouth. Whether you're visiting the supermarket, attending a coffee tasting, or throwing a party, tell everyone about your business and create a buzz. Advertise in your local newspapers and magazines. Create a press release and send it out to local media outlets. Throw an opening day event. This will attract customers in the area. The more buzz you can create, the better. 16. Host a grand opening. Once you've obtained the proper licensing, equipment, food, employees, and space, it's time to get to work. Your grand opening will be your introduction to the community and the final step of your coffee shop planning. Set a date. You want to leave about 3-6 weeks to prepare. This gives you enough time to make final changes, gather supplies, and layout furniture. Create a budget. Depending on your business, you will want to invest between 10% - 20% of your marketing budget for the year on your grand opening. This leaves enough room to host an event that will attract a good number of people. Consider a 'soft-opening'. This will allow you to test drive the effectiveness of your operations before the big day. You can use this opportunity as a chance to identify mistakes and areas that need improvement. Reach out to the media and bloggers. Compile a press release and send it to various newspapers. Tell your story and sell your brand. Get proper permits. Depending on your location, you may need additional permits to host a grand opening. There may also be restrictions regarding crowd size, noise level, or parking space. Make sure to double check with local laws and restrictions. What is the ideal location for a coffee shop? Your coffee shop location should be convenient, highly visible, and on a busy street with plenty of parking. Look for locations close to any universities, office buildings, or dorm rooms. These locations usually have a high traffic flow. What do you need to get funding for your coffee shop? A minimum credit score of 600-640+. Annual revenue of $50,000 - $150,000. What is the best layout for a Coffee Shop floor plan? Your layout will largely depend on your space. To create optimal space, you will need to plan out your kitchen and seating areas. A proper layout can save you valuable time. Keep brewed coffee machines near the register. Place your ice machine or blender near the sink. No shelving or refrigerator system under any coffee machines, you will want to stay out of the barista's way. Place your snacks before the register. This way people will know what they want before their order is taken. Separate your point of order and pick-up point. Place condiments after the display counter. Allow at least one square meter around all chairs. What kind of coffee businesses are there? How can I create the perfect coffee shop design? Clear Concept: You have to be able to specify what makes your coffee shop business stand out. Will it be modern? Retro? Child-friendly? Make sure you know what you're offering. Storefront Design: You don't only have to focus on the inside design. Will you have an outdoor seating area? What will customers see from the outside? Work on the outside design as well. This design should instantly convey the concept you have in mind. Signage: Your signage is another element that should show everyone your business concept. It should be easy to read and distinctive to your business. In-store Design: Once your customers are in the door, you'll want to wow them. From your choice of color scheme, artwork, seating area, and even your menu order, your concept should be displayed throughout your coffee shop. Layout: Your coffee shop’s floor plan layout is a critical component of your business interior. Study and review the efficiency of your coffee shop’s layout from both an employee’s and a customer’s viewpoint. 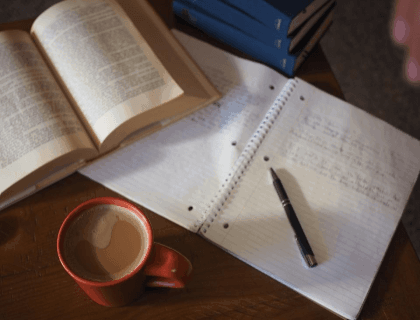 What business structure is best suited for a coffee shop? In the United States, most coffee shop business owners will establish their business as an LLC. An LLC, or Limited Liability Company, is a separate tax entity from its owner(s) and pays taxes. How can I register my coffee shop with Google? Go to google.com/services and click Google Places. Enter your business's phone number, address, or company name. Select your method to confirm your business information. Google will send a PIN. "I would open a Starbucks in a busy business area, since that would be a cash cow. Off branded coffee houses are a hard sell to people these days, unless you live in a savvy city that has educated people. " "Mistakes are unavoidable, but most commons ones are the ones that are not fixed. Customers are more than happy to give you feedback, so ask them before they go to yelp with it. Everything what John said can be fixed, you'll just have to listen and act." "New and/or struggling operators often look for multiple revenue streams rather than improving their core business. Adding multiple (and non-relevant) revenue streams dilutes your base both from a financial and a positioning standpoint." "Two machines is a frankly ridiculous idea unless you're doing WAY over 1500 shots a day. And you're not going to do that. I promise you. Two grinders is a great idea, as they are more likely to break."